The current fear of the unknown among producers appears to be balanced, in part at least, by a healthy degree of optimism for the future. Yorkshire farmer and NPA chairman Richard Lister said there has been a general ‘tightening of belts’, including within his own business, which he attributed to a mix of Brexit uncertainty and recent difficult market conditions. “The combination has made people risk averse,” he said. 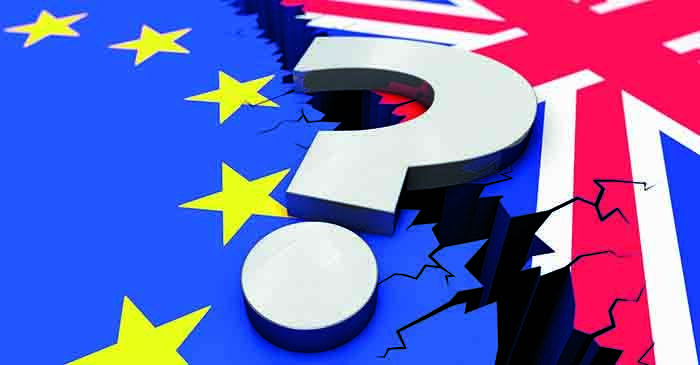 Although he remains optimistic it will be averted, he said a no deal would be a ‘frightening prospect’ for the pig sector, particularly with reduced export access to the EU. “The latest figures showed pork exports were worth £498 million last year, which equates to £50 for each pig slaughtered. The big question is how much of that trade we would maintain,” he said. But he cited the ‘hole’ in Chinese pig production and likely impact of higher Chinese demand on the global market as cause for optimism. “There should be some good prices as the year goes on and that would help alleviate some of the potential downsides of Brexit and keep people producing pigs in this time of uncertainty,” he said. Norfolk outdoor producer Chris Fogden said the increased uncertainty had made him more risk averse, but he blamed a lot of the negativity around Brexit on ‘project fear’. “There might be the odd hiccup but I’m sure it will be alright in the end. Day will still follow night and farmers will still be grumbling,” he said. He hopes the new post-Brexit agricultural regime ‘might give rise to more opportunities for those of us that are used to operating without subsidies’. Stephen Thompson, who runs award-winning Moss Valley Fine Meats pig business in Sheffield with his wife Karen, said he was ‘just getting on with the day-to- day work’. Mr Thompson said it was vitally important markets are kept open and that new post- Brexit trading arrangements do not turn the UK into ‘a dumping ground for the rest of the world’.